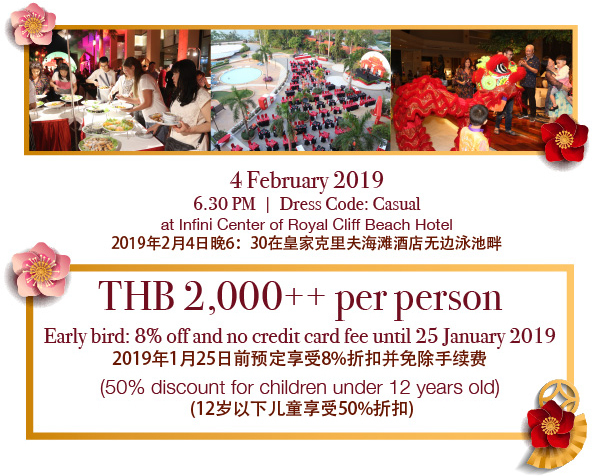 This February, celebrate the colorful Year of the Pig in style with our Chinese New Years Eve Buffet Dinner at the stunning Infini Pool of the Royal Cliff Beach Hotel on 4 February 2019 from 6:30 pm onwards! 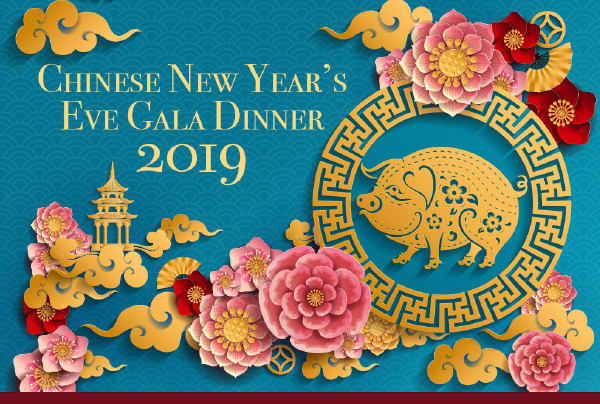 This February, celebrate the colorful Year of the Pig in style with our Chinese New Year's Eve Buffet Dinner at the stunning Infini Pool of the Royal Cliff Beach Hotel on 4 February 2019 from 6:30 pm onwards! We hope to welcome you, your family and friends at the Royal Cliff Hotels Group soon. Wishing you a prosperous Chinese New Year!